Pick-up from Danang airport or center of Danang and transfer to restaurant for lunch: enjoying local food and check-in hotel. 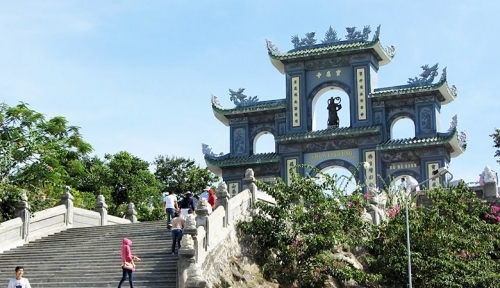 Passing by Thuan Phuoc Bridge to visit Son Tra peninsula, so-called Monkey Mountain. Moving around the peninsula to enjoy the scene of whole city. Visit Linh Ung Pagoda and swimming at My Khe beach - classified as one of the most attractive beaches on the earth. Coach transfer to boat station and get on the speed boat to Cham islands. Make a visit to Lang village, the Marine Protected Area, the boat shelter, Hai Tang pagoda, traditional fishing village and the local market then go swimming, snorkelling and having lunch with some seafood afterward. 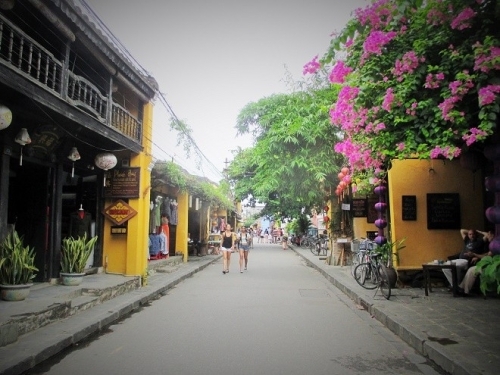 Move to the Ancient town in Hoi an. Take a walking tour around the ancient places (charming and wonderfully preserved, combine with Chinese, Japanese and European influences). Transfer back to Da Nang. Have dinner in Da Nang. 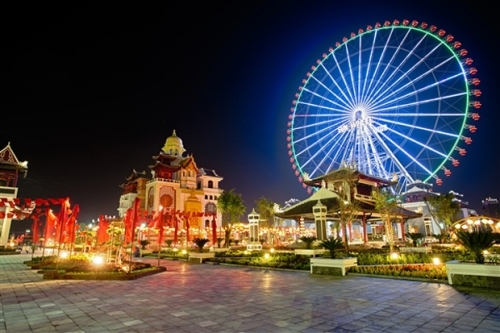 Free time for exploring Da Nang city at night . Leaving Da Nang for Ba Na Hills well-known as the second Da Lat or Sa Pa in the Central of Viet Nam with the longest telpher (6000 m) in the world. 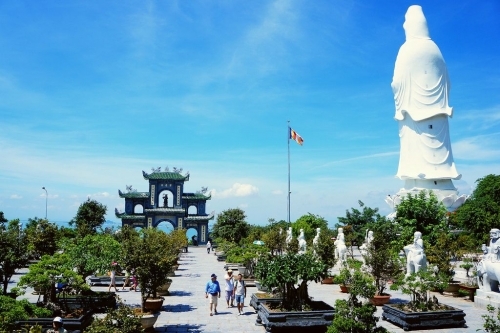 Visit the Le Jardin, old wineries, remains of French Villas and Linh Ung pagoda with 27m high Buddha statue. 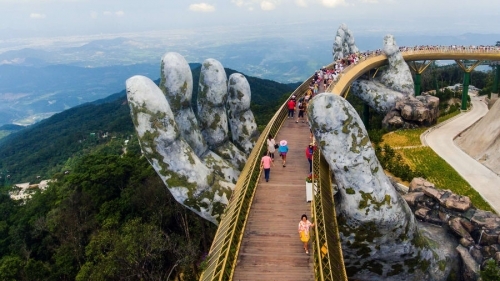 Visit The Golden Bridge - The shimmering structure emerges from the trees of Thien Thai garden in Ba Na Hills. Set more than 1,400m above sea level, the bridge incorporates eight spans and extends 150m-long. The bridge is supported by giant hands. Visitors will really feel like stepping into paradise when they walk on the bridge. Leave Le Jardin for the second cable car station to visit the top of mountain and see the remains of old villas. Freely. 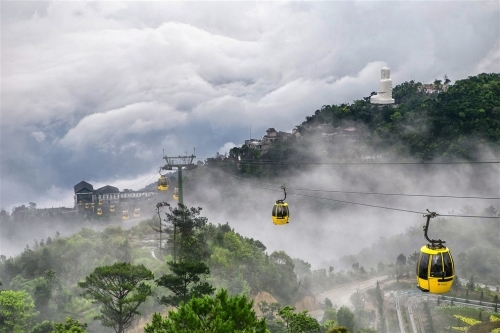 Conquer the Peak of Chua mountain at the height of 1,487m. View the whole Da nang city under the cluster of white clouds. Enjoying games at Fantasy Park (not included ticket). Return to cable car station at the foot of Ba Na mountain. Then finish trip in Danang. We will tranfer you to Danang airport for catching fligh out after 5pm. End of tour and see you again! Ticket of boat trip along Han River.